From harvest to can within 3 hours! 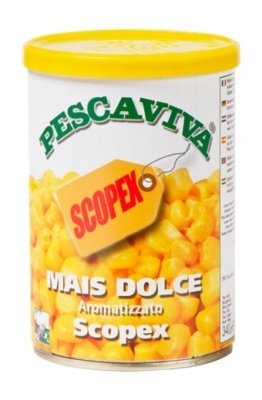 This is the best angling sweetcorn available on the market today. 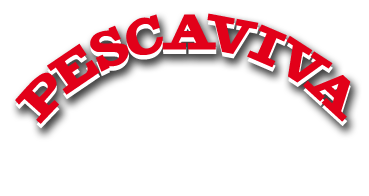 100% organic, non-GMO and gluten free. 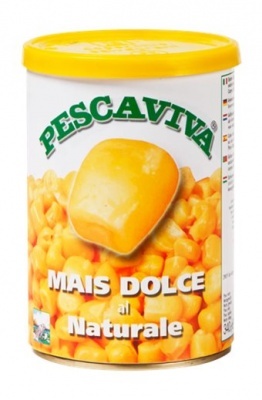 The quality of Pescaviva canned sweetcorn is enhanced by the fact that the harvesting and canning is one continuous process. 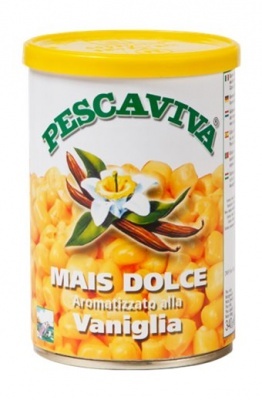 A special strain of sweetcorn is grown for the Pescaviva products, which have large compact kernels. Also, the sweetcorn for Pescaviva products is harvested later in the season than the corn for human consumption in order to increase the solids content in the grains. 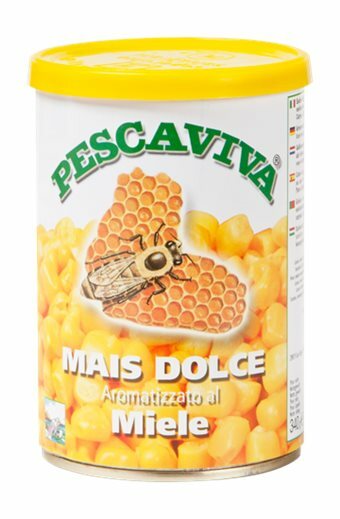 The result is consistently large grains with a crispy texture - almost every Pescaviva sweetcorn grain can be mounted on a hook - this is in sharp contrast to supermarket products which are just sweetcorn for human consumption. 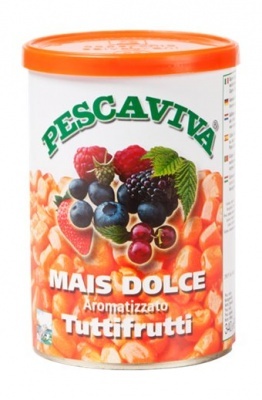 Pescaviva use only the best quality glycerol based colourings and flavourings in the production of Pescaviva sweetcorn baits - these are high intensity colourings and flavourings which do not ‘wash out’ and which are PVA friendly. Most other brands use cheap alcohol based colourings and flavourings which ‘wash out’ immediately they are placed in the water, and which are damaging to PVA. 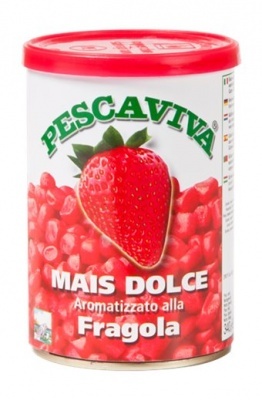 net weight 340 gr. drained weight 285 gr.